Good morning all! I hope that you all enjoyed the Olympics as much as I did. Here in the US coverage of the games was provided by NBC - it wasn't at all bad. We saw amazing medal achievements from men and women the world over. Our theme was Olympics/Sports and we had some fabulous interpretations. Voting was tough and we ended up with Joint Winners. 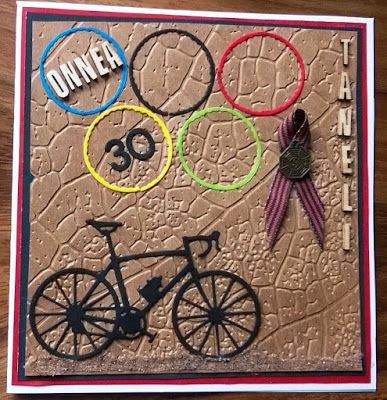 We really like the way the Olympic rings were incorporated into this card, with the black ring as the cycle wheel! Love the cycling theme too - great work. 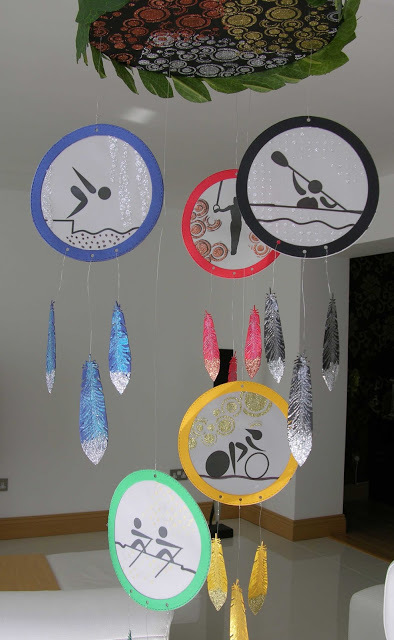 A brilliant interpretation of the Olympic rings with a 3D dream catcher mobile. Silhouette representations of various sports, along with gold, silver and bronze embossed circles. 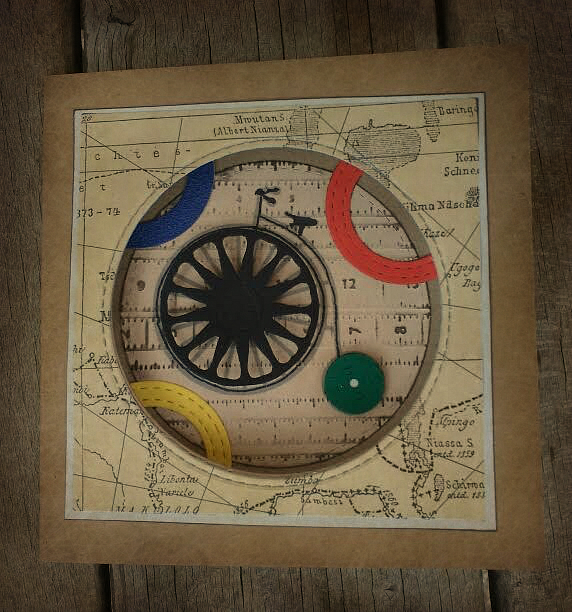 We love the circular shape of the card. Great image and beautifully coloured. Fabulous take on the theme! 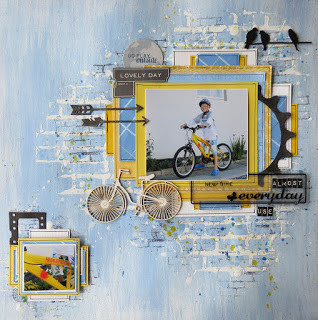 A really great scrapbook page - super photo! Love the brick texture and cycling is one of the most popular Olympic sports. Another project using cycling as the sporting theme. Love the texture and use of the Olympic rings! Congratulations to all our winners - please pick up your badge from the sidebar and display it on your blog. 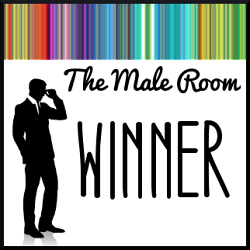 Thanks to all who playing along with this theme - the thumbnail display was super! Before I go, a quick reminder that we have a technique challenge. We want you to create some background papers using the SHAVING FOAM technique - TMR#42. How you use the paper you create is up to you - it can simply be a background, or you can die cut it to use. Whatever you do - have fun. 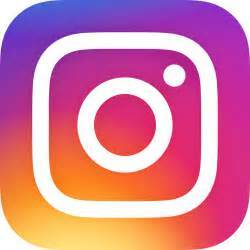 You still have a week to play along with us - deadline for submission is midnight (BST) Tuesday 30th August (that's 7.00pm EDT). 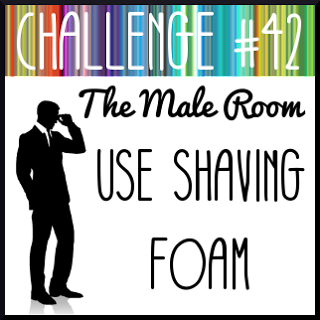 OOoh, thank you so much for picking my card and congratulations to other top picks and winners!